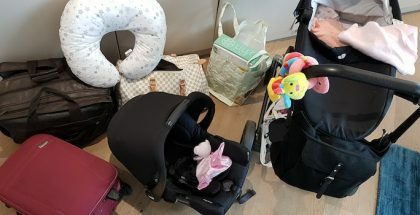 For anyone of reasonably sound mind, lugging a pram, an array of baggage and all sorts of lotions and potions onto a plane with a ticking time bomb that is a young baby is probably more than enough hassle (and expense) once a year – so we already filled our quota back in September. But chucking all that gear in the car and heading onto the motorway for a couple of hours is far more manageable. Since Roma was a handful of days old and we went on a road trip to Southend for the afternoon, I’ve been eager to go on family staycations, so the latest destination we made our way to was Bath. Neither Jenna or I had been to the Somerset city before and having been up north three times this year, we decided on a change of direction to keep things fresh. For anyone else who wants to tick the West Country off their list of places to visit, here’s what we did to have a bubble in Bath. 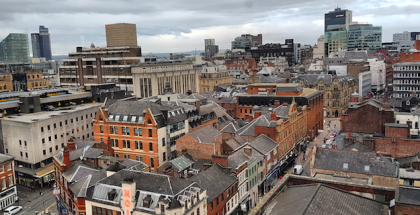 Rather than heading off at the crack of dawn – essentially because we’ve still not mastered it despite various attempts – we left at around 11ish and arrived at the city comfortably by 1.30pm. And that was without driving manically like the days of my misspent youth in my Fiat Punto. For previous nights away, we’ve stayed in serviced apartments for convenience. Facilities to make meals if we chose, home comforts like sofas, but in keeping with the plan to mix things up, we stayed at a Travelodge. 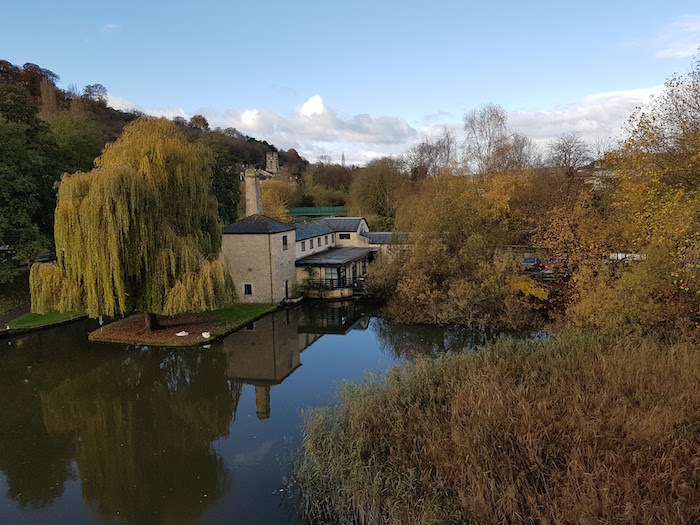 There are a few in the city to choose from, but we went with the recently renovated and picturesque Travelodge Bath Waterside – so-called as it sits adjacent to the River Avon and comes complete with its own pond, which our room just so happened to overlook. I’ll sleep when I’m dead, tell me about the food! After unpacking, we went into the town to scope out the lay of the land, while getting started on our Christmas shopping. It was tempting to grab something to nibble on, but we saved ourselves for our reservation at Tapas Revolution – and it was just as well. The Spanish menu was an ideal throwback to the holiday we went on a couple of months prior and packed full of drool-inducing plates to choose from. After combing through them thoroughly, we ordered several options, the most notable of which were the paella, roasted potatoes, beef meatballs and, most impressive of all, crispy fried aubergine – who knew?! For drinks, the sangria was only available in a jug, which I saw as something of a personal challenge, and the crema catalana, essentially a creme brûlée, sounded too good to resist and did not fail me. Meanwhile, the atmosphere itself was vibrant and full of Spanish flair – the founding chef is Spanish and it shows with the vibe and food – and kept Roma entertained, as did the staff, especially Luciana, who deserves a round of applause for how attentive she was with Roma and us. For breakfast, we smashed the hotel’s buffet breakfast both mornings before leaving, although the consumption on Saturday morning was slightly subdued. The reason for that? It was Jenna’s birthday and I had a surprise of the eating variety up my sleeve… But we’ll get to that in a bit. Saturday night’s dinner choice was at Giraffe. After going for an unconventional mix and match approach the night before, it was back to three courses that night. I say three courses – the size of the starters could have easily put an end to that! An unbelievable slab of garlic bread was brought out for Jenna, while I went with the Nachos, which was just as hefty. That’s not a complaint btw – that’s sheer delight! For main it was duck stir fry for Jenna and lamb tagine for me, which came with, yes, more bread! With so much food to consume, I had the help of some very tasty Cuban mojitos to wash it all down with. So, the three course plan. As much as I hate to admit it, ordering dessert at this point would have been greed, so we had to tap out – sort of. I’d had a word with the staff during the booking process and explained it was Jenna’s birthday, so they came out all-singing and dancing with a slice of brownie and ice cream, much to her delight and Roma’s bewilderment. Like Tapas Revolution, Giraffe was an ideal place to visit with a baby, as the vibrancy and background noise was perfect for covering up any brief outbursts that Roma had whenever one of us dared attempt to eat anything with both hands. 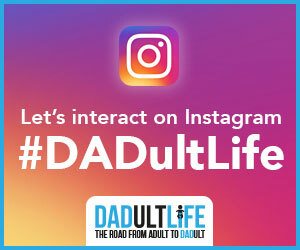 What can I do there apart from eat? Rewinding a few hours to the Saturday morning for Jenna’s birthday surprise, less than a ten-minute walk alongside the river and we arrived at Pulteney Bridge, much to her bemusement. This was down to the brisk pace I forced us to maintain coming to an anti-climax when we hung around in the rain a good 15 minutes waiting for a bus to show up. Course, I gave no explanation and refused to be broken by her interrogation as to what we were waiting for. This was no ordinary bus due to arrive – as close to the Magic School Bus as reality would allow, we were about to embark on the Afternoon Tea Bus Tour by the B Bakery. 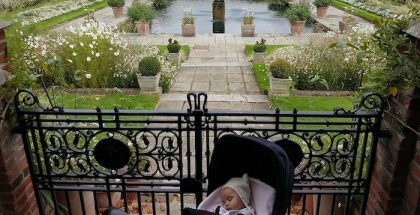 I wore our baby carrier so that Roma was safe and secure, which also had a doubly handy use case as it sent her into a deep sleep that allowed us to plough through the various savoury and sweet delights on the menu, all while absorbing the sights of Bath. Well, as many sights as the steamy windows would allow anyway – this is one thing probably best suited to a dry day. Okay, so that’s still technically eating, yes, but it’s sightseeing at the same time – arguably the best possible things about going on a city break. Anything else that doesn’t involve stuffing myself silly? Now that you mention it, we did visit the Roman Baths. Before we went to the city, I did my research with Visit Bath – in the same way I did with the local tourist board when we went to York. On the Visit Bath site, it’s actually where I sourced restaurant options, which can be broken down into family friendly and so on, while attractions and things to do can be found there as well. It would have been sacrilege to go to Bath without visiting the Roman Baths, so after the bus tour, we made a beeline straight for the historic site, which pulls in one million visitors a year. It’s easy to see why – the building and what lies beneath is staggering. There’s far more to explore than the fascinating baths themselves. With countless areas and archaeological findings steeped in history, guests are able to use an audio tour guide for an overview of the backstory and origin. Miraculously, Roma slept through the entire thing! All hail the might of the baby carrier. 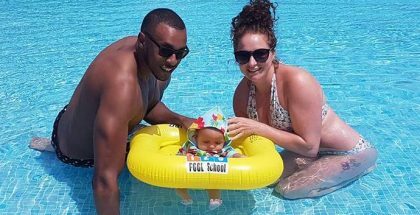 Helpful tip, prams aren’t allowed through the venue, so if you do own a carrier, it’s worth taking it along – alternatively you can borrow one from the front desk. There’s plenty more attractions where the Roman Baths came from too, but we simply didn’t have enough time to squeeze them in. All too quickly, another road trip was over and done with, and so was my annual leave, which signalled our last family getaway of the year. But happily, I’m pleased to say Bath lived up to expectations and we’d happily take a dip there again in the future.